As New Zealand winemakers start to focus on producing quality rosé, Kiwis’ perceptions of the beverage remain relatively weak and may need a shake-up, says a Lincoln University researcher. Wine tourism lecturer Dr Joanna Fountain is one of a group of academics conducting a multi-country project to evaluate consumers’ preferences and perceptions of rosé. The study included 984 completed surveys from wine consumers in France, the United Kingdom, the United States and New Zealand. Results suggest that perceptions of the image of rosé and drinking situations vary from country to country, which could have valuable implications for marketing, both here and overseas. “This research shows that Europeans tend to see rosé as a summer drink suitable for casual occasions, but New Zealand is largely a white wine producer with lots of light, fresh wines that already fill those segments of the market,” says Dr Fountain. “This indicates that a different niche is needed for rosé here, and our research suggests it might lend itself to being positioned for Kiwis as a ‘special occasion wine’. “Rosé wines produced in New Zealand are increasingly becoming more sophisticated, with a great diversity of styles, and winemakers have been taking it more seriously. “These days, more grapes are specifically harvested with rosé production in mind, so people in managerial positions need to think about how to maximise the style’s appeal for our unique market. “Our research found that while the perception of wine in other markets suggests that rosé is considered to be simple, cheap and unsophisticated, the Kiwi consumers surveyed were less likely to see rosé this way. 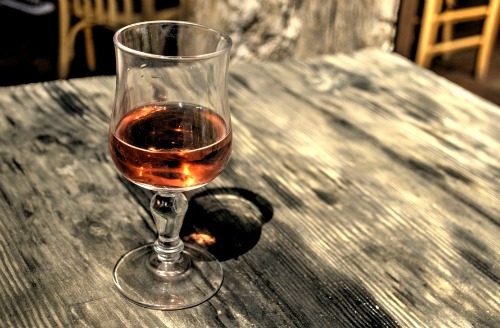 Previous research has also indicated that many people view rosé as an exclusively feminine style of wine. However, the wine consumers in this study did not support that perception and the French respondents, who were the most regular rosé consumers, actively opposed the concept of rosé as a “woman’s drink”. “These findings provide grounds for some optimism about the future of rosé amongst New Zealand wine consumers, but the visibility and image of the wine needs strengthening,” says Dr Fountain.